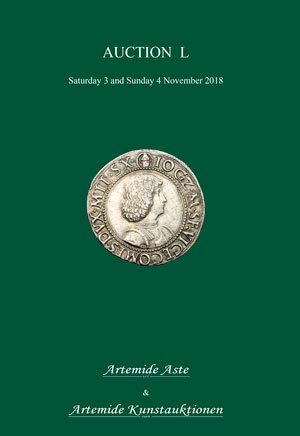 Coins 293 L. Roscius Fabatus. 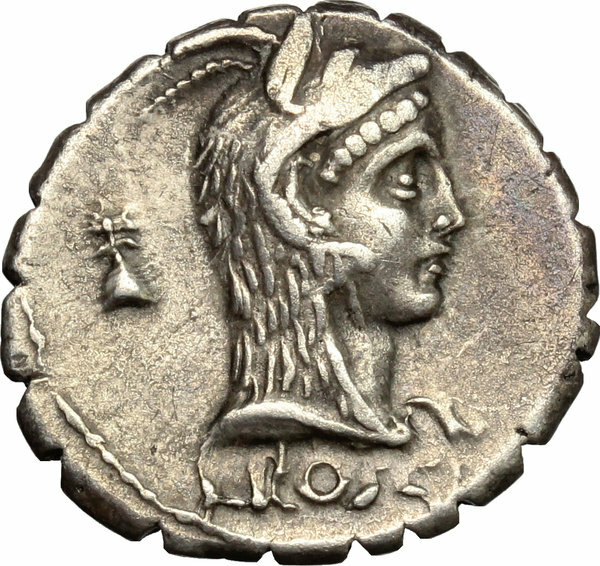 AR Denarius serratus, 64 BC. D/ Head of Juno Sospita right, wearing goat's skin; behind, pileus; below neck truncation, L ROSCI. 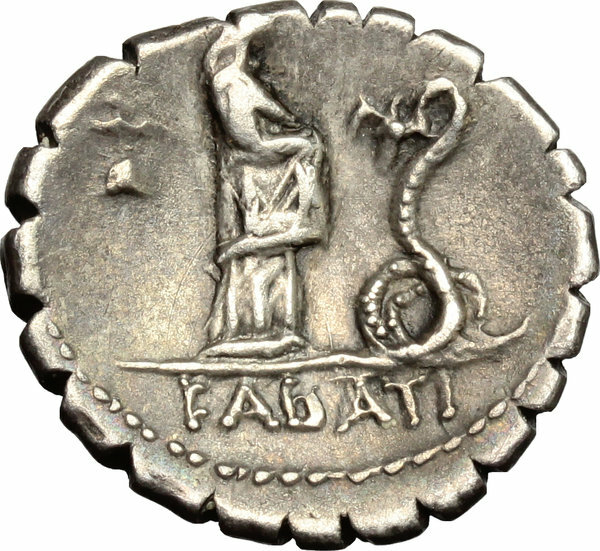 R/ Female standing right, feeding serpent erect before her; behind, pileus; in exergue, FABATI. Cr. 412/1. B. 3. Banti 1/82. AR. g. 3.91 mm. 18.50 Good metal and full weight. Old cabinet tone. Good VF.